Posted at: 3/24/2010 11:21:00 PM . 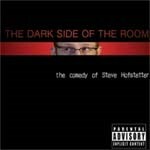 Steve Hofstetter, a funny comedian on the college circuit is giving away one million free copies of his CD to promote his upcoming tour. This is a digital CD so you will be downloading the tracks, not getting a CD in the mail.